• Friday, April 19 will be a regular school day. • Wednesday, May 8 all Gladstone schools will be closed. The School Board made these calendar changes to ensure our students get their full allotment of instructional hours in the event of a possible May 8 statewide teacher day of action related to insufficient school funding. Over 280 people attended the Gladstone Education Foundation [GEF] dinner and auction, netting $57,000 for Gladstone schools and youth programs. Of that, $13,000 will support development of a new dental clinic at the Gladstone Center for Children & Families. 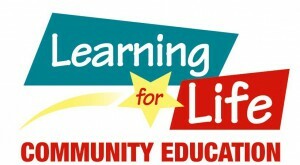 Gladstone’s community schools program offers low-cost classes and recreation programs for children, teens, and adults. Youth classes range from hip-hop and ballet to martial arts, sports, and driver education. Adult courses include watercolor and oil painting, yoga, first aid, investing, and Spanish. To register, call 503.650.2570 or visit the website.